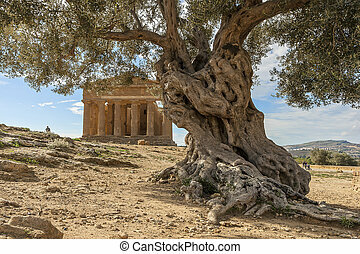 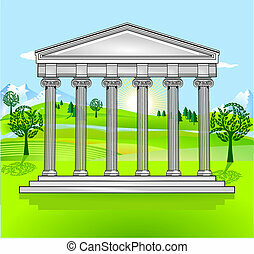 Greek temple. 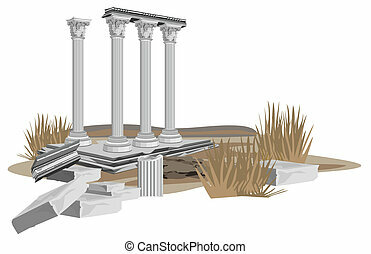 A vector illustration of a classical style white marble temple. 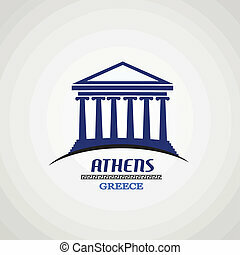 eps10 vector format. 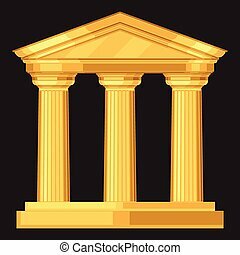 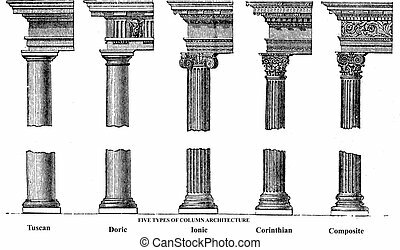 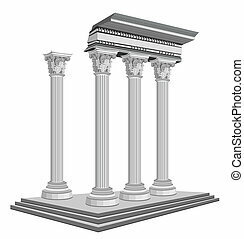 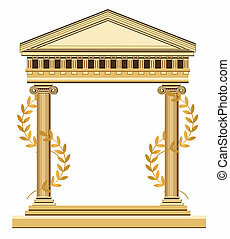 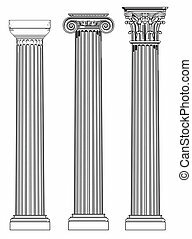 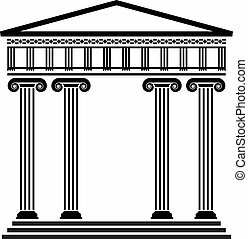 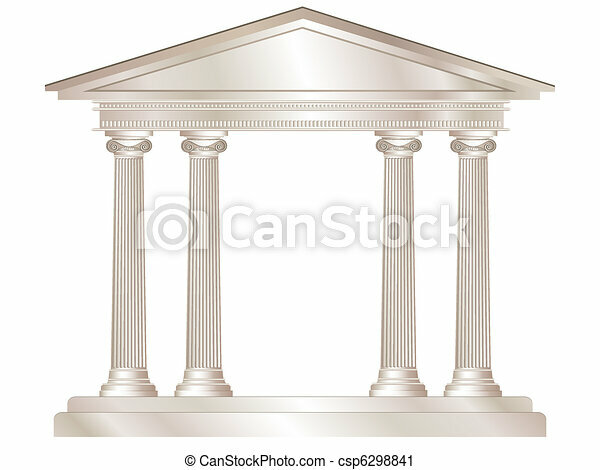 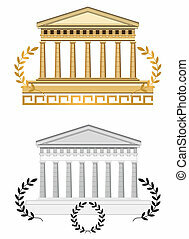 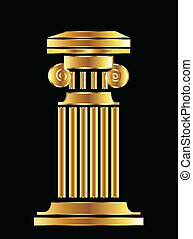 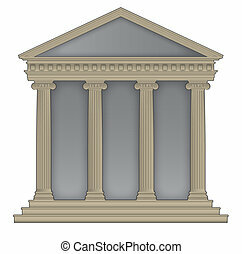 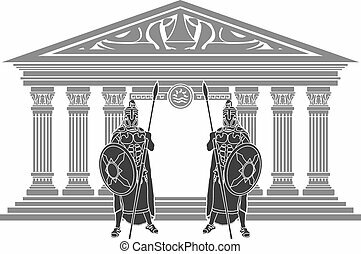 Doric realistic antique greek temple with columns.